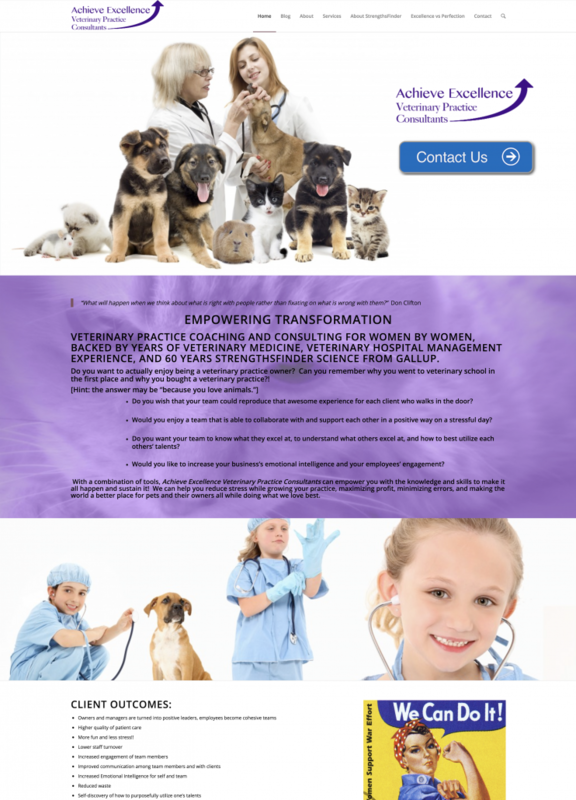 The owner is a very skilled female veterinarian who is looking to empower other female veterinarians, whether they are looking to own their own veterinary clinic or they already have a well-established vet practice. The owner of this site was the original owner of the popular BEBT in Iowa City, IA. She built and grew her business into an extremely profitable 24-hour vet clinic. Her techniques focus on educating the client’s owner (animal’s owner) of all of the options, giving her recommendations, but ultimately letting the human owner decide. As a result, Jenn Van Noy has become one of Iowa’s top Veterinarians. How to advertise to female veterinarians? This is the ultimate question. How do you even convince potential clients that this service even exists? Let alone convince them that this company is the right fit for them. This has been a hurdle after hurdle for the owner. But though facebook ads targeting budding or established veterinaries, coupled with a website with additional information for potential clients to do additional research. This has the potential to truly bring in clients that simply never knew they needed Jenn’s services.